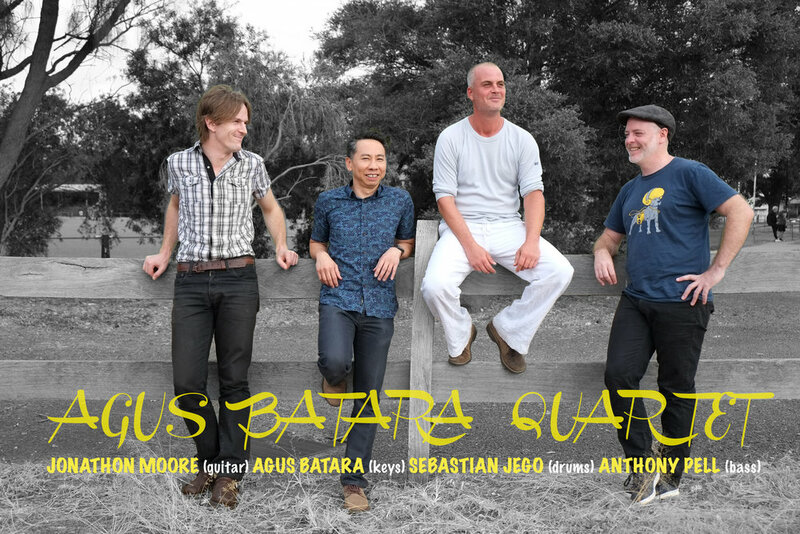 Agus Batara Quartet is a new rising instrumental jazz band formed in 2017 with their debut performance at the Castlemaine Jazz Festival. Agus Batara (keys/ band leader) draws his unique compositions from a mixed influence of jazz traditions, modern funk and wider ‘world’ music inspired by idols like Bill Evans, Brad Mehldau, Avishai Cohen(b), Tigran Hamasyah, EST and more. Line Matter is a four-piece original jazz band playing dynamic, driving and melodic music. Influenced by Pat Metheny, John Scofield, John McLaughlin, Miles Davis and others the quartet creates a unique blend of jazz/ fusion music. Line Matter will be performing with local pianist legend; Ade Ishs revisiting their collaboration at the 2017 Halls Gap Jazz Festival bringing a mixture of Line Matter originals, Ade Ishs originals and Pat Metheny covers.